You may export the data collected by your survey at anytime for use in other reporting tools, databases and spreadsheets. 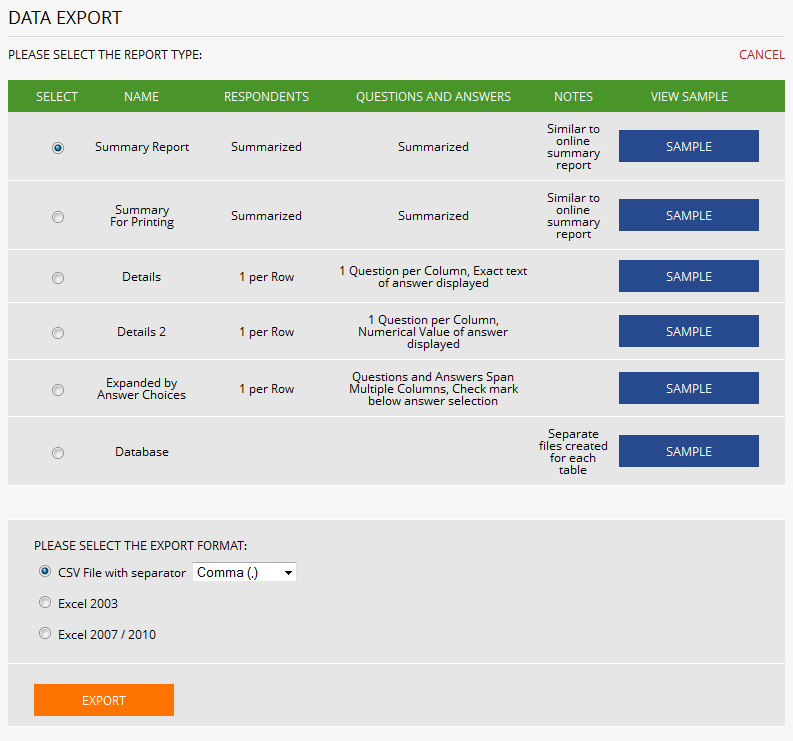 You may also use the export feature to generate a version of the summary report that is suitable for printing. Different export options are available that format the data in different ways depending on your requirements. You can click on the SAMPLE buttons in each row to view samples of each export format. For now, leave the first option "Summary for Excel" selected and click the EXPORT button. Once the report has generated, the following link will appear next to the export data button. Clicking on this link will open the data file either in your browser or in a separate application (such as Excel) depending on how your computer is configured. This concludes this tutorial. Click NEXT to return to the Help Index.